A building can be so much more than just bricks and mortar. 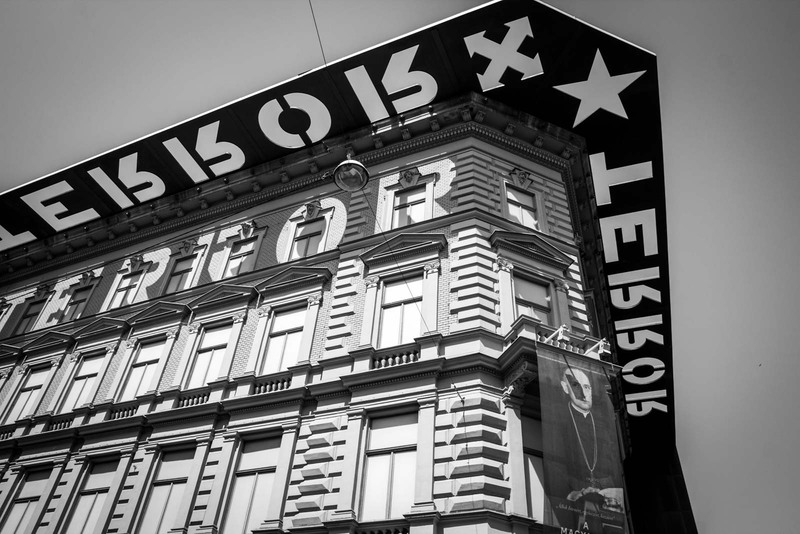 In Budapest, 60 Andrassy Boulevard is just known as the House of Terror. For more than a decade it represented the cruel heart of those who would stop at nothing to rule this land. In 1944, in the dying days of the Second World War, the Hungarian Nazi Party took control of Budapest and made this building its headquarters. Known as the ‘Arrow Cross’, the local Nazi branch did not last long. In fact, it was only in power for a matter of months, but that was long enough to spread its evil. In the time they operated from this building, the Nazis tortured and killed hundreds of people in the cellar beneath the street. From the plush offices on the first and second floors, orders were given to shoot Jews and throw their bodies into the river. Teenage boys were recruited from here for an army that never had any hope of winning and many were sent to their deaths. 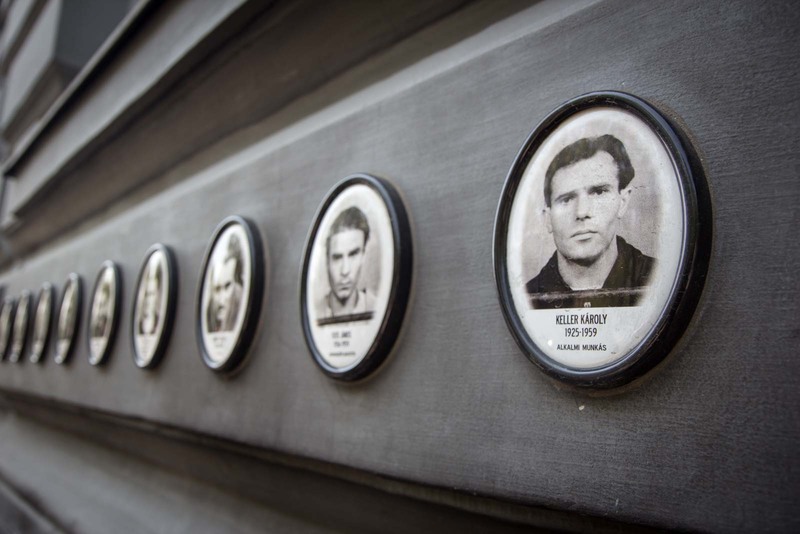 That was just the beginning for the House of Terror in Budapest, though, and the horror that was to come next would drown out the screams from the cellar. These four walls would be painted in the blood of the Hungarian people (figuratively). Just a few months after the Arrow Cross took power, Budapest was occupied by the Soviet Union. Although enemies of each other, they both shared a malevolent obsession with the control of the populace. The Nazis may have been expelled but that was no relief for the people. 60 Andrassy Boulevard became the headquarters for the State Security Authority, run by Soviet puppets. From here they ruled with an iron fist to supress rebellion and enforce submission. The security authority was known as the AVH and it was feared across Budapest. It recruited informers to spy on friends, family and colleagues. Nobody could feel safe with the watchful and vengeful tentacles of the AVH spreading out from this building. The security officers killed without hesitation. They forced confessions or executed without trial. Thousands were killed – many of them right here. You see, under the AVH, the cellar had been extended. The authority took over almost the entire block and joined together the basements of all the buildings it controlled. Beneath the ground was an elaborate maze of prison, torture and execution. The AVH moved out of 60 Andrassy Boulevard in 1956 but the Soviets continued their control for many decades. The last Soviet troops didn’t leave the city – and the country – until 1991, shortly before the collapse of the USSR. For many citizens of Budapest, this time is still fresh in their memory and it is a deep scar across their history. The building was opened as a museum in 2002 after a year-long renovation effort. 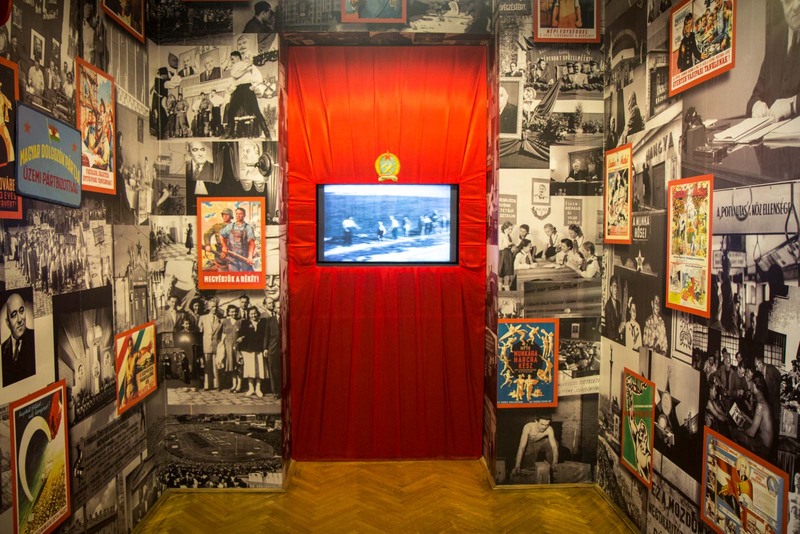 Over several floors, it tells an extremely comprehensive story of the Nazi and Communist rule. The excellent displays are not just informative but atmospheric and a lot of work has gone into making it a visual and emotional experience – not simply an educational one. As a foreign tourist, you are presented with a detailed overview of life in Budapest during those hard years and how the building played such an important role. 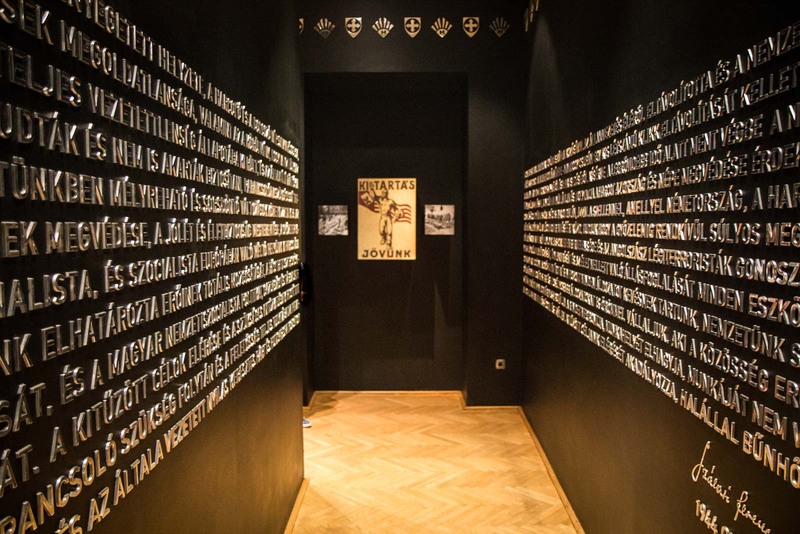 Beneath the main floors of the House of Terror building, the cellars remain and a visit to the museum ends with a slow elevator ride down into the bowels of the building to see where so much horror was inflicted directly onto Hungarian victims. Leaving the building, you can see how the designer of the museum has created a black frame protruding from the top of the roof as a reminder of the horrors inflicted indirectly onto Hungarian victims. A building can be so much more than just bricks and mortar. 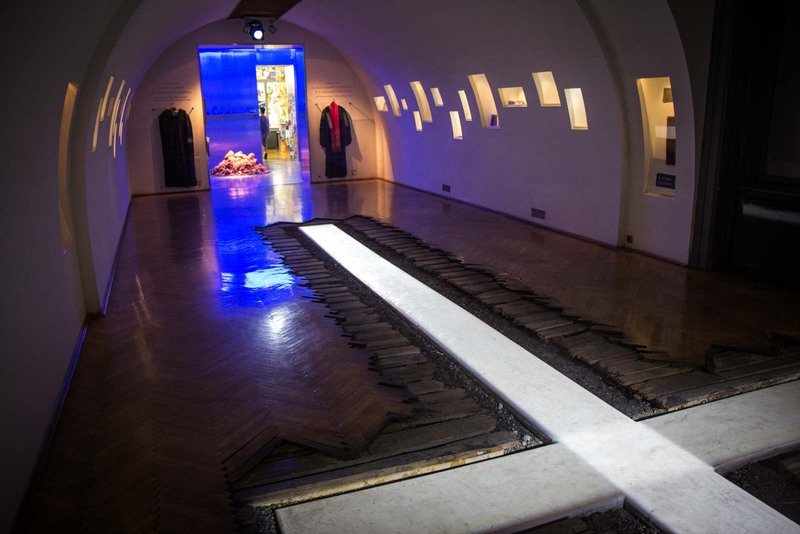 Now 60 Andrassy Boulevard is a sculpture in the shape of a building, which is a monument to all those who suffered. Where is the House of Terror? The official address of the House of Terror is Andrássy út 60, Budapest 1062. You can see it on a map here. How do you get to the House of Terror? Using public transport, the easiest way to get to the House of Terror is to use the Metro Line 1 to Vörösmarty utca station. You can also take tram number 4 or 6 to the Oktogon stop. What time is the House of Terror open? The House of Terror is open from 10:00 - 18:00 from Tuesday - Sunday. It is closed on Mondays. How much does it cost to visit the House of Terror? The cost for an adult admission ticket is 3000 HUF (US$10.80) and a concession ticket is 1500 HUF (US$5.40). You can visit the museum's official website here. Wow, never heard of this but now I’m intrigued. It still shocks me that such horror went on just a few decades ago. The story of Hungary never really seems to be too prominent when it comes to World War II (and the aftermath). But it suffered the cruel hands of the Nazis as much as many other places in Europe. I traveled to Budapest two years ago and loved my time there. Kicking myself for not knowing about this place though! Thanks for sharing. We’ve been to Budapest a bunch of times but I never knew what House of Horrors was until now. It really makes you think of the atrocities people suffered as recently as little more than 20 years ago. It would be worth visiting it if you’re heading there again anytime soon. Thankfully the city has moved on and become such a cool and cosmopolitan place. But it’s strange to think of what was happening there not so long ago. 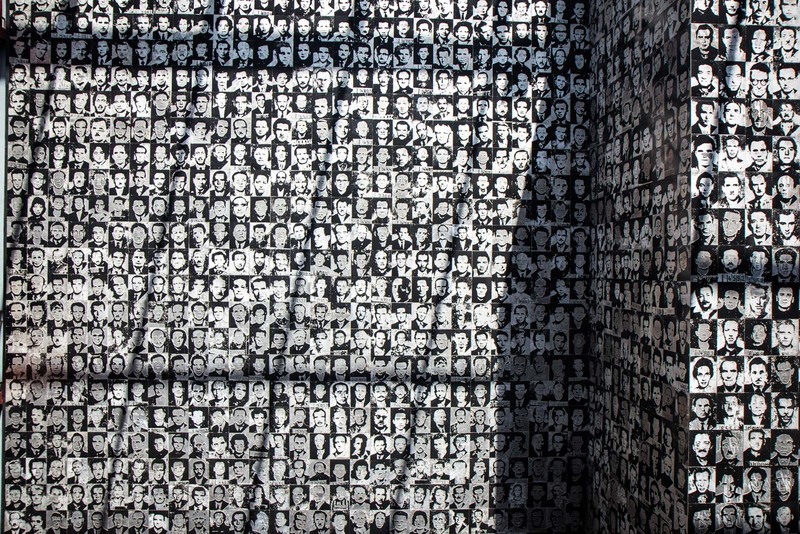 I have visited this monument to human violence and many others in my travels and it has been an education in what we are capable of, both in terms of horror and cruelty, as well as the awe inspiring resilience shown by populations all over the world to overcome war and genocide and to move forward and rebuild their lives and communities. While theoretically I understand that they don’t really have a choice but to carry on, I never cease to be humbled and amazed by the fact that they find the strength, compassion, will and joy to do so. So well put. Although it is a memorial to many people, it’s also a monument to resilience and a better life. We went there. The basement was just downright creepy. Yet, what’s weird is that the rest of the block is gorgeous and happy. The basement is awful, isn’t it. It’s good that they have left it almost how it originally was, but it’s really sad. Imagine if all the buildings could talk – oh the stories they would tell. Hopefully most stories would be happy ones… it’s a pity that a building like this one has such an awful tale to tell. Thanks for the comment! It is very sad that we are capable of this stuff. You find stories like this all across the world, regardless of continent or race or wealth. I guess this kind of behaviour goes to the heart of humanity somehow… which is even sadder. True terror. It’s hard to imagine it was such a short time ago. The levels of evil humanity can sink to is amazing. I often think how lucky I am that I wasn’t born into a place and a time where this sort of thing was commonplace. It must have been awful for so many people to have never known any better. We pass by and took a few photos of this fascinating building during our time in Budapest last year, but it looks like we really missed out by not going in. Maybe next time? Wow, this is really interesting. I don’t know much about Hungry’s history, but this museum looks very powerful. It’s a very sad part of the history of Hungary but important to learn about. The museum puts it together well and it is very powerful, yes. Operated by Hungarian Nationalists who used it as a headquarters after Germany freed Hungary from Soviets in 1944. The original intent of the building was to prevent Soviets again entering Hungary. Hungary was well aware of communism after the Spring Putsch of 1919 led by Judeo-Bolshevik criminals like Bela Kun and Tibor Szamuely. The bulk of the building and terrorism Hungary felt were by foreigners using communism, but your lead sentence uses the word nazi? I’ve been here and you get no sense about nazis. At this time of WWII, all of Europe was allied with Germany against Soviets, either fighting through their own nation or proudly taking up arms through programs offered by the Waffen-SS (who’s members were over 60% non-German by the end of the war). 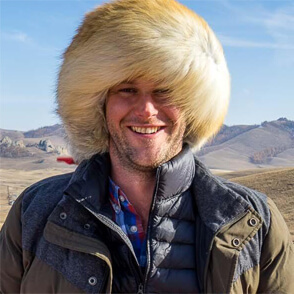 When you folks visit, leave Hollywood Hitler behind and learn about names like Lazar Kagagovich or Leon Trosky (real name Lev Bronstein) that don’t have endless movies made using his likeness. Thanks for putting the spot on peoples destination. BTW, did you visit Statue Park? Out of the city, but worth it. Michael Turtle seems to have posted a lot on this thread but it appears that he missed the whole point of the museum. This wasn’t just about how bad the Nazis were. The real terror began when WW11 was over. One wonders if Michael even went through this museum.. I cannot agree enough with Earl Wasraw. He at least seems to understand the total truth about this awful place. 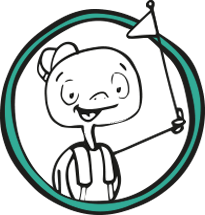 Read through his submission and then you will get a better grasp of what you might experience here if you were to visit. I’m not sure what point you and Earl are trying to make but I don’t agree with your analysis. 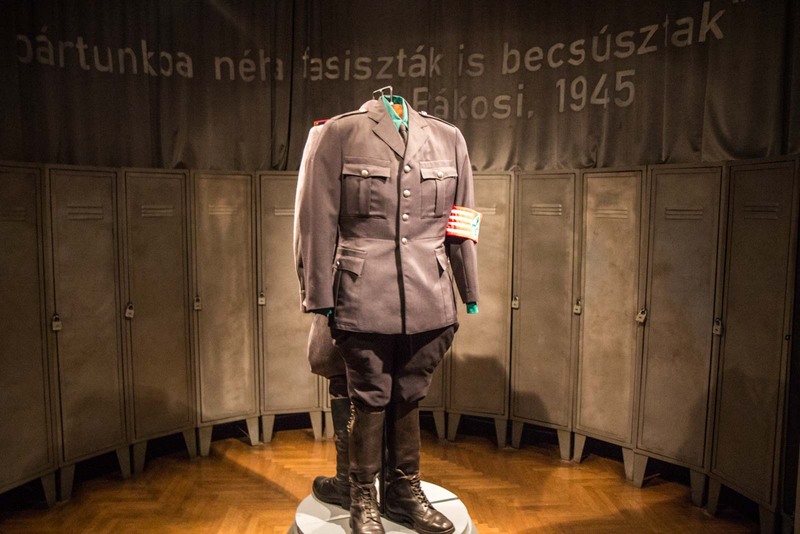 To Earl’s comment: “I’ve been here and you get no sense about nazis.” Perhaps he skipped the entire 2nd floor where there are large exhibitions about what the museum calls “Hungarian Nazis”, also known as the Arrowcross Party. I would also suggest Earl’s interpretation of history is completely misguided if he thinks that, when it comes to 1944 and 1945, “at this time of WWII, all of Europe was allied with Germany against Soviets”. 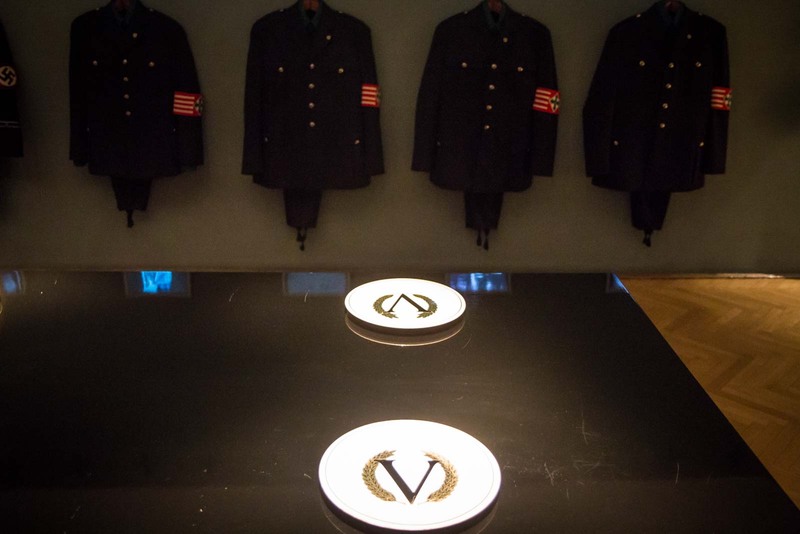 To David’s point about the museum not being “just about how bad the Nazis were” – I agree. And that’s why a large part of my story is about the Soviet security agency called AVH. One wonders whether you even read this story before commenting. I certainly welcome other opinions in the comments section and I appreciate you putting your views forward, even though I don’t agree with your conclusions. I hope all visitors to Budapest get a chance to visit the House of Terror to learn about this period and they can make up their own minds! It still left me in tears.